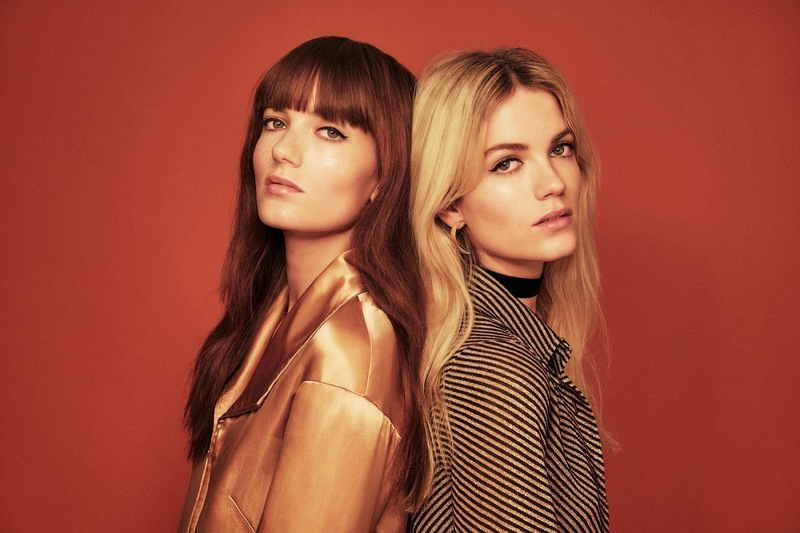 Swedish/Australian sisters Say Lou Lou are back at it again, as they have announced their new single ‘Nothing But a Heartbeat’, and the release date for their debut album ‘Lucid Dreaming’. Following up from a successful 2014, the twin sisters will be releasing their debut album through their own label À Deux, which has been preceded by their latest single ‘Nothing But a Heartbeat’, released on 6th February. Their long awaited album ‘Lucid Dreaming’ will see its release on April 6, followed by a headlined show at London's ‘Live at Heaven’, on April 8. Following a year spent travelling the globe over, gathering huge momentum and setting the internet alight after every release, the twin sisters will be carrying on their belief of keeping everything in-house by releasing their debut album themselves. A true labour of love, the album recording was split between L.A., London and their native Sweden, the influential sounds from each location meshing and permeating through every note. Working with the likes of Liam Howe (FKA Twigs, Foxes), Hannah Robinson (Icona Pop, Lana Del Rey) and Jim Eliot (Ellie Goulding), the finished record is as grand and elegant as you could have hoped, laying down a massive statement of intent in a stunning debut. A completely self-made creature, Say Lou Lou control everything – from the lyrics in their songs and direction of their music videos to the styling in photo shoots and design of their aesthetics – something that in this day and age is a rare and precious anomaly. The bands first single ‘Nothing But a Heartbeat’ is a huge track that they've been playing live over the past 6 months and puts them well and truly on the mainstream pop radar. The video, devised b the band and directed by Joanna Nordahl sees the band in a dream-like stae, surrealistic and boundless with abstract thoughts running free – bringing the album's title ‘Lucid Dreaming’ truly to life. Tickets for their upcoming London gig on April 8, are currently on sale: http://www.livenation.co.uk/artist/say-lou-lou-tickets. Press play on Say Lou Lou's ‘Nothing But a Heartbeat’ record below, and also check out the official tracklisting for ‘Lucid Dreaming’.